Celebrating our 20th Anniversary on September 15th, we took some time to reflect on the last two decades in this industry. Two decades of learning, adaption, and growth on the business side as well as the personal side. Employees began their careers with us, made new friends and started their own families. These past 20 years are full of stories beyond the actual business realm. Just in case you missed it, here is a blog about my reflection on all of this I published back in August. All of this poses the question, “What will be ahead for us?” Well, one thing is for certain – we have chosen an exciting and very dynamic industry that is characterized by change. The products that are driving most of our revenue didn’t exist four years ago. So, while I don’t want to speculate about the specific products and services that our company will provide in 20 years from now, I’d like to point out the key pillars of our future success. The field of Precision Medicine is expanding rapidly. There are new scientific insights gained every day, clinical best practices are evolving and the underlying sequencing technology is improving year after year. Combined with advancements in computing, software development and a stream on emerging technologies such as Artificial Intelligence, there is a significant potential to bend the yield curve for our company. Golden Helix has been recognized by many publications for its leading role in our industry. Just to name a few: Pharma Tech Outlook selected us as one of the top analytics providers in 2018. CIO Applications chose us to be a part of their top 25 biotechnology solution providers in 2017. CIO Review grouped us among the top 20 most promising biotech solution providers for the past three years. In addition, we have been awarded a research grant by the National Institutes of Health to play a leading role in areas that are key to improve patient outcome. Our overarching goal is to ensure that we deliver outstanding value to our clients. This means that we provide premium software capabilities at the highest level of quality. We embed quality metrics in all processes related to product development, support, sales, marketing, and operations. We understand that our products are part of the life science and healthcare industry. This is a highly respected industry in which our customers make decisions that affect the patient outcome. Ultimately, we have been in business for twenty years, because we have satisfied customers. Our focus on customer value allowed us to develop a distinct position in this industry. The same focus and dedication to customer satisfaction will be key in the next twenty years regardless of which part of the world we operate or what products we will sell. I’d like to thank all of our clients and partners for the trust they bestow on us. 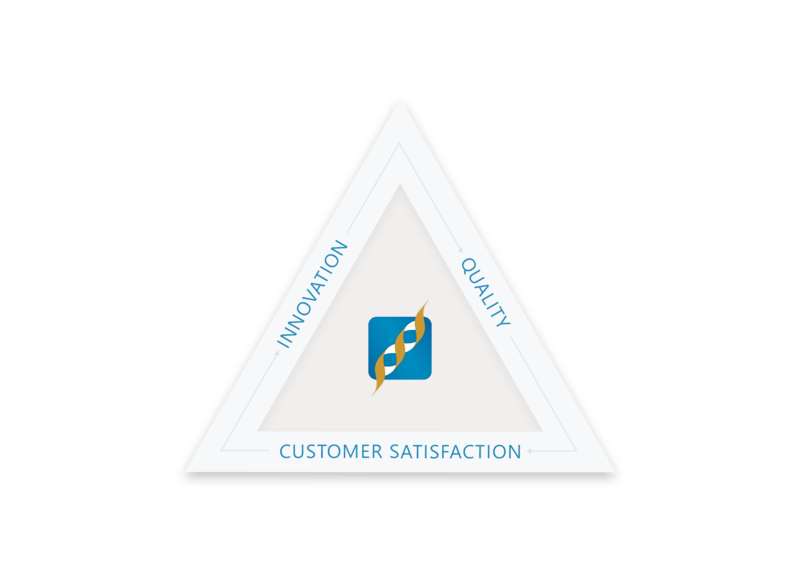 We are committed to all of you and these three pillars in order to maximize the value we bring to the genetics community. On September 16, 2018, we ventured into the next twenty years for Golden Helix. Together with you we are on our way!